Situated out in Santa Barbara County in the southern part of the state of California, Santa Barbara is one of the Golden State's most beautiful coastal cities. Renowned for its Mediterranean style architecture and outstanding beaches, this city stretches out across over 40 square miles and is home to around 92,000 people. Santa Barbara was first incorporated back in 1850, but the area has been inhabited for thousands of years. With a thriving performing arts district and a lot of special tourist locations like the Santa Barbara Harbor, the Mission Santa Barbara, the Santa Barbara Zoo, and more, Santa Barbara has a lot to offer to visitors of all ages and is also the host location of several exciting annual events like the Fiesta, the Santa Barbara French Festival, the Santa Barbara International Film Festival, and the Summer Solstice Parade. Santa Barbara, like many other cities all along the Californian coastline, is a popular spot for vacations and road trips. If you're planning a journey down to Santa Barbara, there are lots of great RV parks and campgrounds to choose from in the local area. 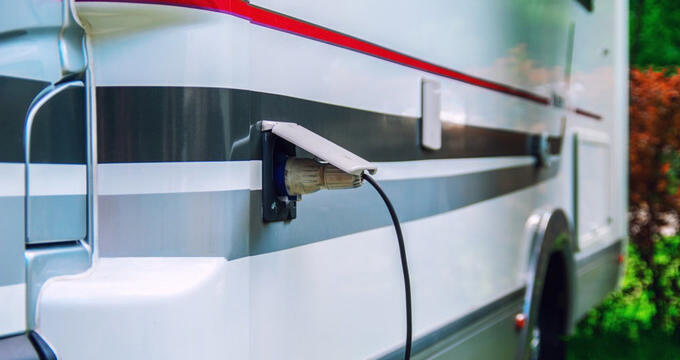 Find out more about the best RV parks in Santa Barbara down below. Situated just north of the main city and beaches, nestled snugly among the mountains and valleys, sits Rancho Oso RV and Camping Resort. By far one of the top rated RV parks in Santa Barbara, Rancho Oso RV and Camping Resort has received a lot of 5-star reviews from happy campers in the past and continues to be a leading player in terms of RV parks in this part of California. Offering breathtaking mountain and forest views all around, this historic RV camp is set on over 300 acres of land and has history dating back to the mid-19th century. Rancho Oso RV & Camping Resort is a very popular place to stay for nature lovers and outdoor enthusiasts, with lots of good hiking and biking trails in the local area, as well as plenty of wildlife spotting opportunities. You can even visit this RV park with your own horse and house it at the large on-site pasture or covered corrals. Downtown Santa Barbara is only half an hour away from this RV park, which features speedy Wi-Fi, a general store, laundry machines, a great restaurant, a hot tub, a swimming pool, pet-friendly facilities, a mini golf course, horseshoe pits, picnic tables, basketball courts, volleyball courts, a game room, and a play area for young children. Beloved by guests of all ages, Santa Barbara Sunrise RV Park is located out on the coast in the eastern side of the city. It offers mind-blowing views of the ocean and is mere minutes from some of the best beach spots in Santa Barbara, making it a wonderful spot to stay if you're visiting Santa Barbara to explore the inner city and relax on the local beaches. This is a family owned RV park as well, with a very friendly management team who strive to ensure that every guest has the best possible stay and leaves with a lot of happy memories. Guests will fall in love with the managers' dog, Moe, and are encouraged to bring their own pets along as well. The park, which is walled off from the road to reduce the sound of road traffic, features full hook-ups with 30/50 amp power, basic cable TV, and free wireless internet. It also comes with private bathrooms, very clean shower facilities, big rig friendly sites, a well-equipped laundry room, picnic tables, and good access to local grocery stores and RV suppliers. There are just over 30 RV sites at this location too, so it's got a quiet, calm atmosphere that will definitely appeal to travelers looking for a little escape from crowded places. If you're looking for an RV park right in the center of Santa Barbara, offering the ability to simply step out of the gates and walk around to various beaches, restaurants, shops, museums, and more, Rancho Santa Barbara could be the perfect spot for you. It's got one of the best locations of any RV park in Santa Barbara and offers a very warm and friendly welcome to all guests. The fun thing about this RV park is how it features a lot of organized activities and special events designed to create a community vibe and bring people together. You can make a lot of new friends here, or you can simply make the most of the on-site amenities and enjoy some privacy too. Rancho Santa Barbara lets you enjoy your vacation however you like, and features a lot of fun amenities and activities including arts and crafts sessions, live concerts, pet-free facilities, game nights, and more.